I am covering all the bases on New Year’s Day today. I have eaten Napa Cabbage Salad, Cabbage Rolls, Collard Greens, and Black Eyed Peas. Four dishes to guarantee prosperity in the new year. 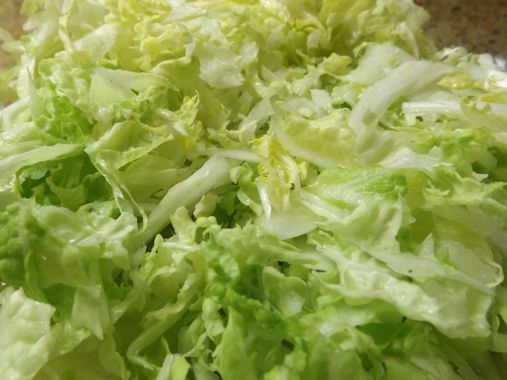 At lunch I started with Napa Cabbage Salad. I’m thinking salad counts in this traditional cash-ensuring fare but to be certain I made some other sure-fire money makers, too. 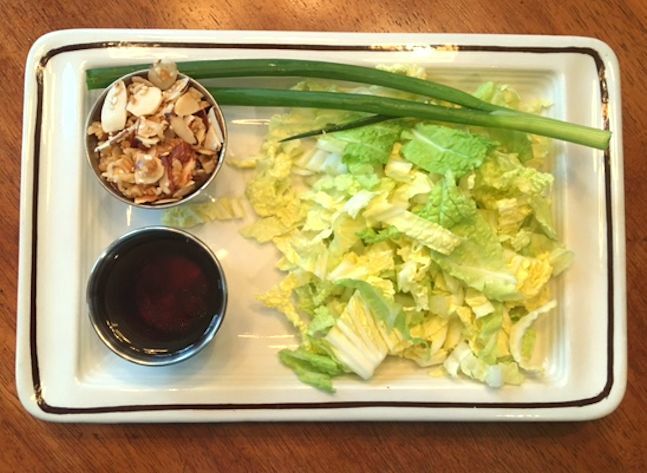 First, here is the recipe for Napa Cabbage Salad. 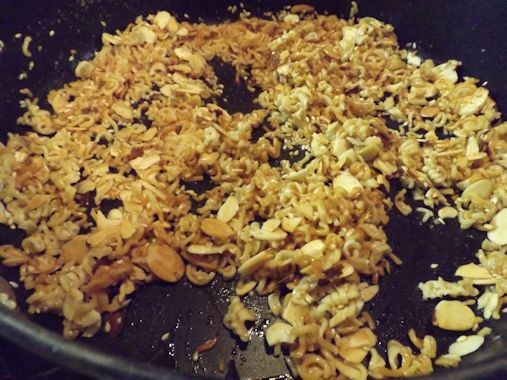 Melt butter and a skillet and brown the Ramen Noodles, sesame seeds and almonds. Set aside. 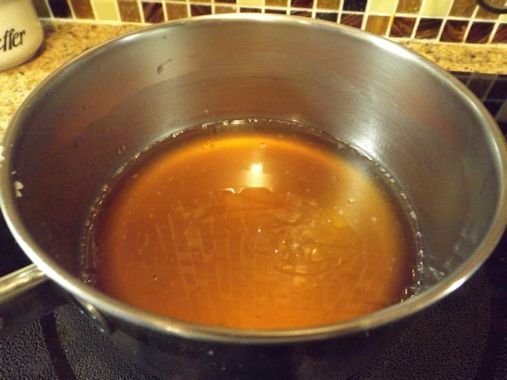 In a small pan, heat dressing ingredients until boiling stirring constantly until sugar dissolves. Set aside. 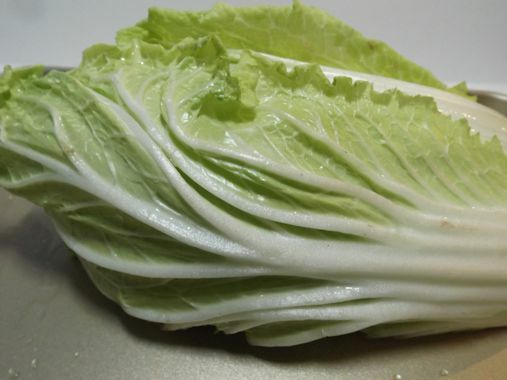 Slice one head of Napa cabbage and green onions. (You can use the food processor on the slice blade or a knife and cutting board.) Toss together the cabbage, onions, dressing and topping. Add cooked chicken, if desired, for a full meal. Brown the crushed Ramen, nuts, and seeds in butter. Bring the soy sauce, sugar, vinegar and oil to a boil. Shred the Napa Cabbage and add the onions. I can see the dollars adding up with each bite. 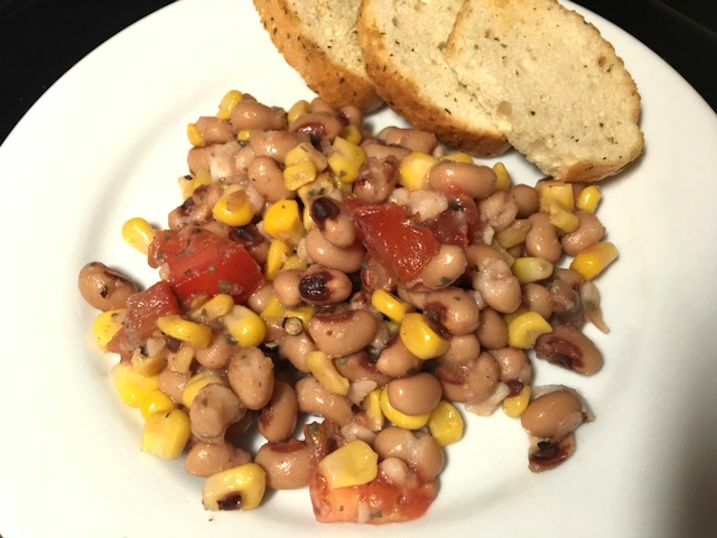 We also had Texas Caviar made from black-eyed peas, tomatoes, corn, green onions, garlic, cumin, red pepper, cilantro and a few other spices Olivia sprinkled in there. 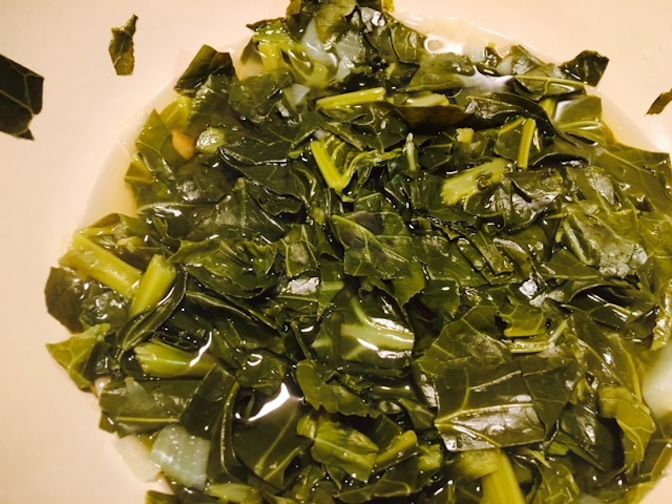 For dinner we had collard greens with onions. We also vegetarian cabbage rolls. Now, I will have to say I do know my way around a cabbage roll because my grandmother made them EVERY time we went to visit her up in Cleveland. My mom learned to make them from her and then showed me. Grandma’s cabbage rolls were always made with ground beef and rice but I wanted to try to make them without meat. I left out the ground beef and added shredded carrots, onions, and garlic to the rice. I also used a wild rice mixture instead of plain white rice. 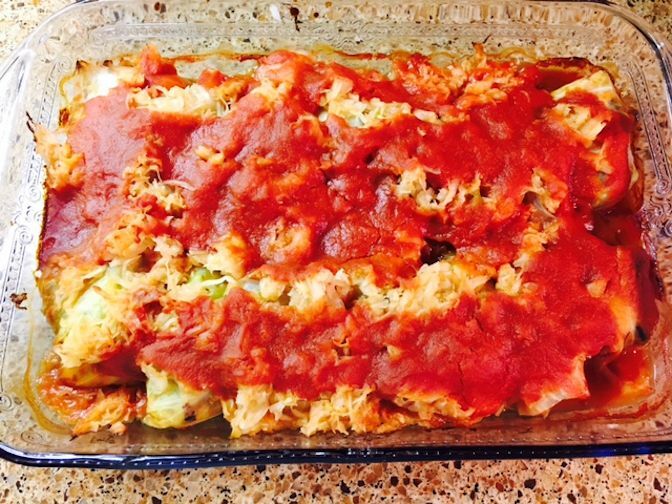 We topped the cabbage rolls with sauerkraut and tomato sauce. We baked them to death and they were delicious. Hope you are getting your greens in today so we can all be rolling in the cash in the coming year! Sounds as if you should be prosperous into the next millennium…that is if you ate all these great foods!!! Keep me posted on your financial successes!!!!! Love ya.